I have this card over on the Jane’s Doodles blog today. Lots of masking and Copic colouring on this one. 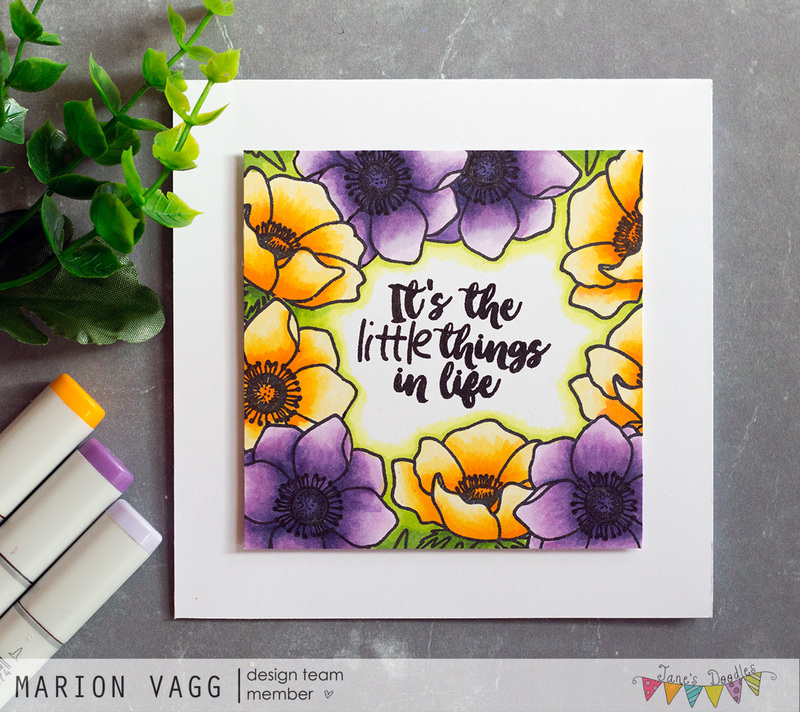 I used the Anemone and You Got This stamp sets. I mounted the panel onto a white note card using some fun foam. I had a post over on the Jane’s Doodle blog earlier this week and so I wanted to post it here as well. I used the Lily and the Birthday Wishes stamp sets. I created a watercolour wash on teh background with my Kuretaki Gansai Tambi watercolour paints. Once dry, I white heat embossed the flowers and the sentiment. To add a little more detail, I used a white Prismacolor pencil and shaded the flowers. Just letting you know that I have a card over on the Simplicity at its Best blog. 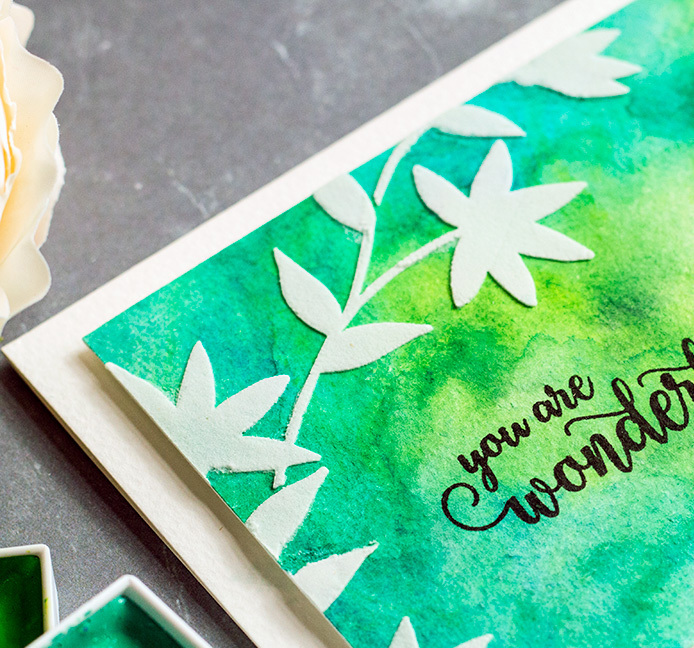 Water colouring with some stencilling using embossing paste. Here is a little teaser for you. 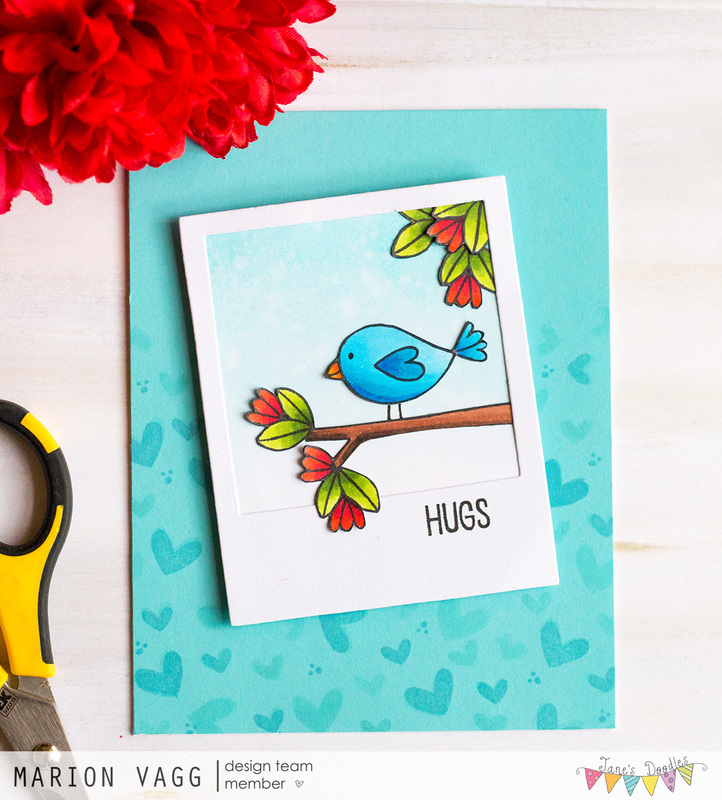 I have a sweet card to share with you today featuring Jane’s Love Birds set. I simply adore this set! Head over to the Jane’s Doodle blog to see the post there. I wasn’t sure where I was going with this card, so when I don’t know, I usually just stamp, colour (in this case with Copics) and fussy cut the images. This is what I did with this one. 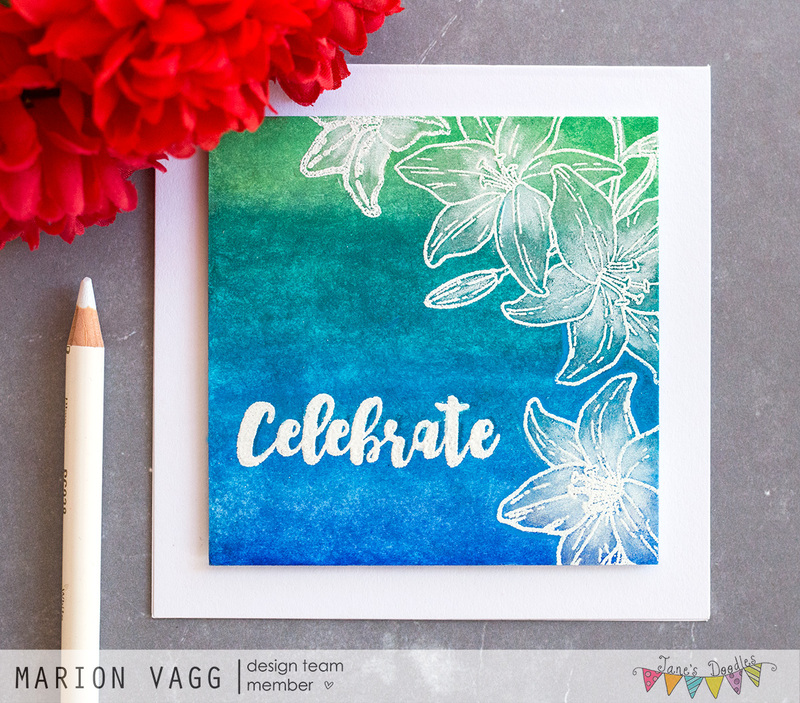 To add some interest to the blue card base, I stamped some hearts from the Love stamp set to create a tone on tone effect – subtle and not too overpowering.